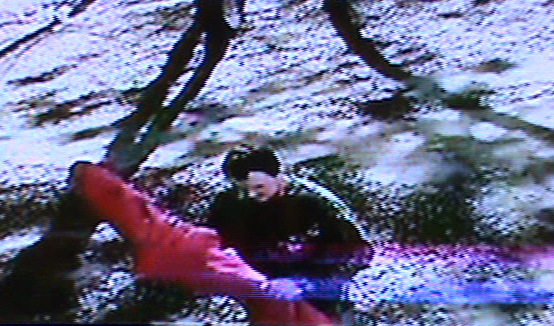 On January 30, 2012 a Williston home owner reported that unknown person(s) broke into his home. The subject entered the residence through a back window and upon entry stole a loaded SKS rifle. The victim's home was equipped with a home security system and the video captured a white male walking out the front door with a blanket over a long object consistent to a rifle. The investigation revealed that School Resource Officer Sgt Max Long and Deputy Scott Stancil reviewed the video and positively identified the suspect as Brandon Cole Pickel, 17, from Williston. Sgt. Narayan was able to seize the stolen rifle and return the rifle to the owner. A criminal history background check on Pickel shows that he is a three time convicted felon with a past of burglary and theft. 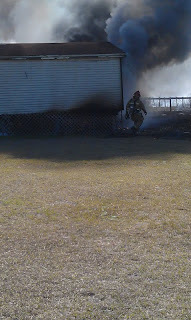 On January 30, 2012 Deputy Scott Stancil responded to a house fire at 19990 NE 17 Place in Williston, Fl. 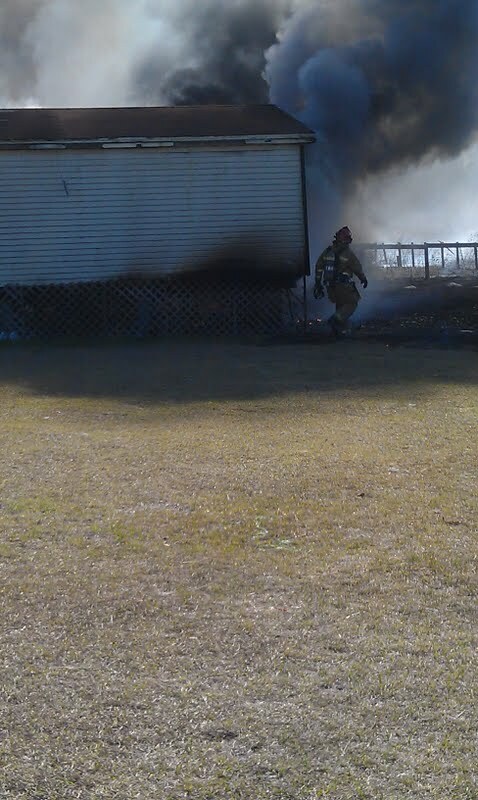 Upon arrival Williston Fire Department and Levy County Fire Rescue were attempting to extinguish the fire. The homeowner, Sandra Adame stated that she was outside feeding the horses when she noticed smoke coming from her residence. Ms. Adame advised that her five-year-old son was inside the residence playing and she feared for his safety. Ms Adame and her son were not harmed and she ran down the lane and flagged a motorist to call 9-1-1. Due to drought conditions the fire quickly spread from the house to other horse paddocks and the fire personnel were attempting to save the house and the horses. 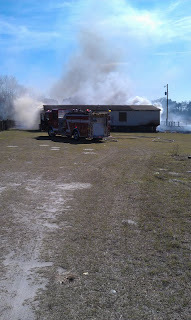 The fire was extinguished and the horses were not harmed but the mobile home was not so lucky. At this time it is unknown the cause of the fire but the State Fire Marshall has been notified and the investigation continues. On January 18, 2012 the Levy County Sheriff's Office received a call that a subject driving a gray truck left the scene of a hit and run accident. The caller stated that the subject was last seen traveling west on County Road 316 and he was driving erratic. Major Sullivan and Lt Mullins were in the area and began looking for the subject at the intersection of SR-121 and Highway 41. The subject was seen driving a gray Nissan Titan truck with front end damage from the crash and he made an illegal U-turn in front of deputies. The subject proceeded south on SR-121 from Williston and when the subject saw Sgt. Wells he made another U-turn at Williston Airport road. I activated my emergency lights in an attempt to stop him. 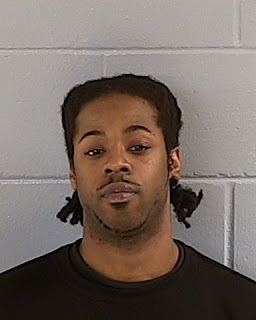 The subject refused to pull over and sped up to speeds of 75mph with Sgt Wells directly behind the subject with his emergency lights and siren activated. The subject continued southbound on SR-121 and was weaving all over the road and we feared that the driver may possibly cause a head on collision. The subject prior to reaching the intersection of SR-121/41 came to an abrupt stop and shot deputies a "Bird". The subject continued to reach in the seat with his right hand and he was ordered at gun point to show his hands and get out of the truck. The subject refused to exit the truck but finally reach out the driver's window and shoot us the bird with both hands. The subject is a very large man (6'02", 300lbs) and he had to be physically removed from the vehicle and he resisted arrest with violence. The subject had to be restrained with two pair of handcuffs and he was arrested for fleeing and attempting to elude a police officer and resisting arrest with violence. The Florida Highway Patrol investigated the traffic crash and there were no reports of any injuries. The subject was later identified as Roy Thomas Willard, 62 from Morriston. Upon arriving at the jail Willard apologized to Sgt. Wells for his actions. The Levy County Sheriff's Office, Williston Police Department and the Chiefland Police Department executed a search warrant at 241 NE 11th Street in Williston and arrested eight people. Community leaders have complained about the criminal activity at this location which is a known as the "Gambling House". The investigation revealed that the Drug Task Force Agents made undercover drug buys in December 2011. 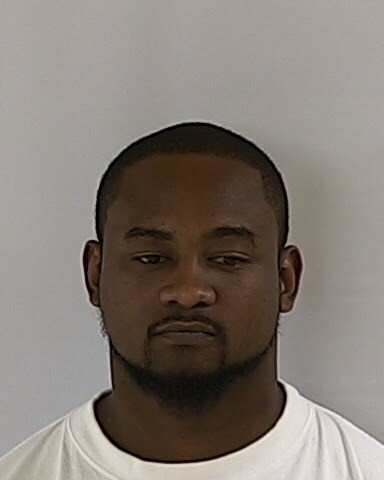 Agents purchased marijuana and powder cocaine from Darryl James at the Gambling House. James was using the house for illegal gambling, selling and using drugs, selling alcohol and cigarettes without a license and renting the back bedroom for prostitution. The Gambling House is known to have as many as 40-50 people on the premises on any given night and in the past have become very combative towards Williston Police Officers during a traffic stop. Agents decided that on Friday the 13th Operation "One Eye Jack" would commence after dark and shut down the illegal business. Upon arriving at the location the entry team was confronted with 9 people gambling and had assorted drugs (cocaine-marijuana) and cash on the table. Inside the residence James was selling alcohol, cigarettes, cigars, chips, candy, beer and condoms without a license. Upon Agents arriving on the scene there were numerous people on foot that attempted to run and one vehicle that was parked in the front yard that attempted to escape the drag net. 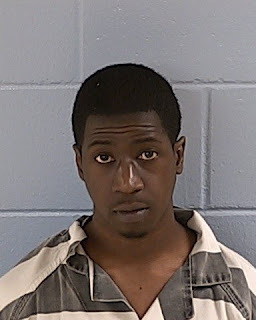 The occupants in the vehicle were later identified as a driver, Quinton Harris, front passenger, Daniel Joiner and in the back seat, Manuel Terrell. The driver drove the car in reverse and attempted to flee the scene. Detective Roger Bell, Detective Jay Crooms, Police Officer Justin Douglas and Major Sullivan stopped the vehicle and the subjects were taken out of the car at gun point. 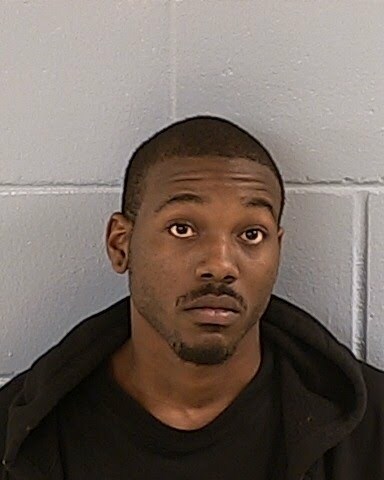 Inside the car was a pistol and Daniel Joiner had 30 individually packaged baggies of cocaine and 2 bags of marijuana in his pocket. Operation One Eye Jack netted a total of eight people being arrested and seized drugs, money and guns. The Sheriff's Office will continue to monitor this location and we have a zero tolerance for illegal activity. Charges: 2 Counts possession of marijuana with intent to distribute within 1000'of a school. 2 Counts sale of marijuana with intent to distribute within 1000' of a school. 2 Counts possession of cocaine with intent to distribute within a 1000' of a school. 2 Counts Sale of cocaine with intent to distribute within a 1000' of a school. 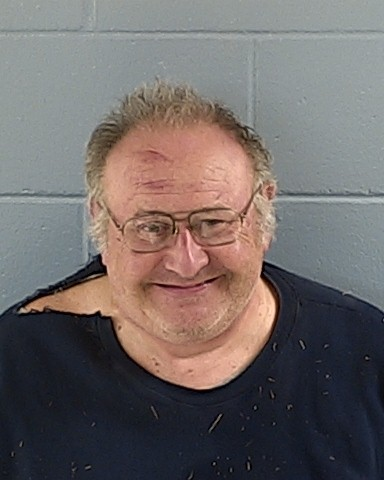 On January 11, 2012 Deputy Scott Stancil arrested Raymond Shiver for grand theft and resisting arrest without violence. Deputy Stancil attempted to stop a blue S-10 truck in the Williston area. Deputy Stancil had knowledge that Shiver is associated with the above truck and he stopped the truck for a traffic infraction. Upon stopping the truck the passenger, Raymond Shiver jumped out and ran on foot and refused to stop. 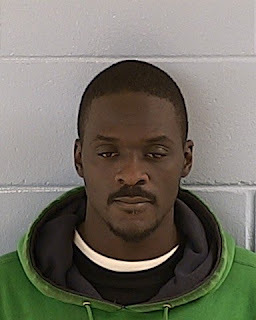 Deputy Stancil chased Shiver on foot and he was apprehended approximately ¼ of a mile in the woods. 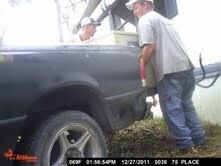 Raymond Shiver and his brother Alexander Shiver stole a 3.5 ton air conditioner from a residence. Alexander Shiver was arrested within days of the report and Raymond went on the run. 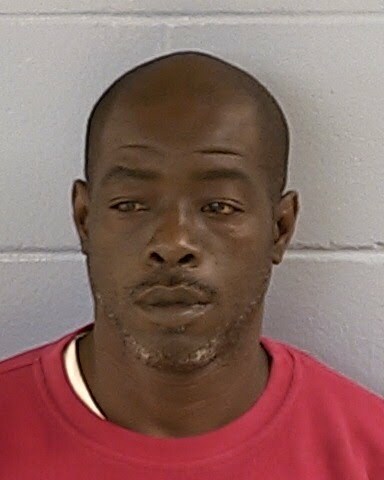 Yesterday, Raymond Shiver's luck ended when he was stopped and arrested for the above charges. Raymond Shiver was transported to the Levy County jail and he has a $ 60,000 bond. On Saturday, January 7, 2012 Investigator Roger Bell arrested Christopher Pate, Jeovany Ortiz, Janiel Perez and Armando Perez for armed home invasion robbery, felony battery and aggravated assault. Sheriff's deputies and Investigators responded to a Bronson home in reference to a 9-1-1 call reporting a home invasion robbery. The four suspects met earlier in the night and talked about hitting a lick "Robbery". The plan was for Pate to lure the victim outside of his home and the three other suspects would commit the robbery. 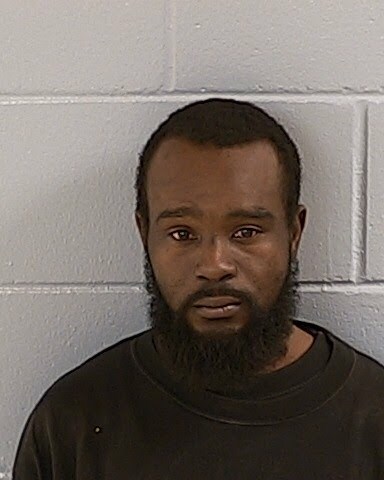 The plan did not go as planned when the victim refused to go outside, but he allowed Pate to enter his home. 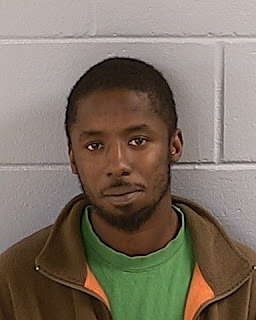 Upon entry Pate and the victim spoke about smoking a blunt (Marijuana Joint) and allegedly Pate was going to buy crack cocaine from the victim. While Pate was inside the house negotiating the drug deal, Jeovany Ortiz and Armando Perez stormed the house wearing a mask and armed with a pistol and baseball bat and demanded money. Pate pulled a realistic toy gun concealed in his waist band and also threatened the victim. The victim stated that he was in fear of his life and his family's (mother, step father and two children ages three (3) and seven (7) year old) and he began fighting with the three suspects attempting to wrestle the guns and baseball bat from them. The suspect's pistol whipped and struck the victim in the head with the baseball bat and fled the house on foot. While fleeing from the scene Jeovany Ortiz turned around and fired at the victim and missed him by only inches. During this incident the step father woke up and fired two rounds from his shotgun in the air in an attempt to scare the suspects from returning to the house. The victim sustained a head laceration and was transported to a local hospital. Sullivan said "I'm very proud of the Deputies, Investigators and dispatchers in handling this incident and the team work to have these bad guys in jail less than 24 hours". Bronson, Florida-The Levy County Sheriff's Office has seen an increase in All Terrain Vehicle Accidents. Over this past weekend there were two tragic ATV accidents resulting in fatalities. I would like to inform you of the laws pertaining to ATV's and give you some safety tips to prevent you from being a victim of an ATV accident. You may also go on-line to www.ATVSafety.gov for additional safety information. In 2006 the Florida Legislature passed a law allowing ATV's to be operated on any public roads or streets during the daytime hours on an unpaved roadway where the posted speed limit is less than 35 miles per hour by a licensed driver. The Levy County Commissioners on October 17, 2006 passed County Ordinance 90-3 stating it is unlawful to operate an ATV on any roadway, paved or unpaved streets in Levy County. In Levy County there are several locations to legally ride and have good quality family time when riding your ATV. Under Florida State Statue 316.2074 (3) it is unlawful for any person 16 years of age or under to operate or be a passenger on an ATV without a helmet and safety goggles. No person shall be a passenger on an ATV that is not designed or equipped for said person. Wear a helmet & eye protection at all times. Do not carry passengers on an ATV. Do not let young or inexperienced riders operate ATVs without training & supervision. Do not use alcohol or other drugs when riding. Always maintain a safe distance between riders. Always let someone know where you are riding. Always ride at a safe and responsible speed. Know your abilities and don't exceed those levels. Make sure the ATV is in safe working condition. The victim, Roy Alexander reported to the Sheriff's Office that someone stole his 3.5 ton air conditioner from his Williston home. This is the second time someone has stole the victim's air conditioner. The victim stated that he concealed a game camera facing the A/C unit and obtained photographs of the suspects stealing the A/C. 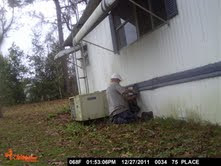 On December 27, 2011, the victim reported that unknown person(s) stole his A/C unit and he has photographs of the suspects and their vehicle and the suspects loading the A/C unit in a Ford truck. On January 2, 2012 a concerned citizen notified the Sheriff's Office and stated that the truck used in the theft may belong to Raymond Shelton Shiver from Morriston. Deputy Scott Stancil and Sgt. Mike Narayan went to the suspect's residence located at 4350 SE 138th Terrace and made contact with Raymond Shiver's son, Alexander Matthew Shiver. 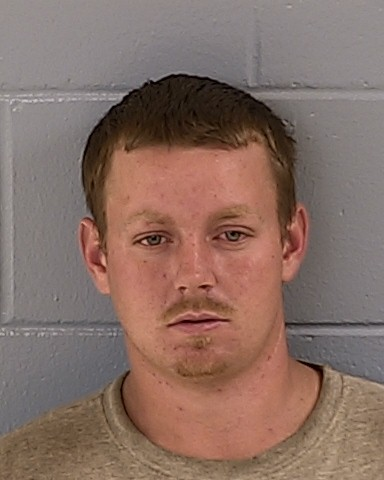 Deputies were able to identify Alexander Shiver as one of the two suspects in the theft. The second suspect has been identified as Raymond Shiver, Jr., which is Alexander's older brother. 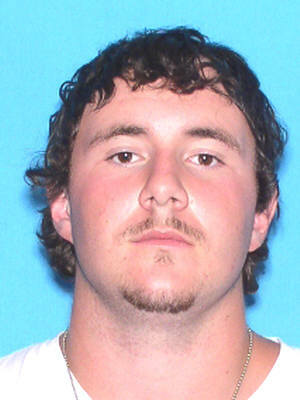 Alexander Shiver was arrested for grand theft and he is on felony probation for grand theft. Deputies are currently looking for Raymond Shiver, Jr. and if anyone knows his whereabouts is asked to call the Levy County Sheriff's Office.